Hip pain can prevent you from performing everyday activities, including your favorite sports. Athletes most often encounter hip pain when they play sports that have repetitive movements, but direct impacts or other injuries can also cause hip joint pain. We’re exploring hip pain, so you can understand the symptoms of common hip conditions and get effective treatment to prevent the development of a more serious condition. It is important that you have symptoms evaluated. Recall the physical motions that preceded the pain, the location and severity of the symptoms, and the physical movements that exacerbate the problem. Heiden Orthopedics can evaluate the level of the injury and create an effective treatment plan to bring you relief. The hip bursa is a sac of fluid in the joint that reduced friction between the muscles, bones, and tendons. Hip bursitis, also known as trochanteric bursitis, occurs when the bursa becomes inflamed or irritated. Without the cushioning effect of the bursa, pain will occur during most movement of the hip joint. Hip bursitis occurs most commonly in runners and contact sports such as football or ice hockey. Athletes who perform sudden accelerations or decelerations can experience a hamstring pull, resulting in sharp pain in the back of the thigh. Groin strains are common in athletes who often strain the muscles in the front or inside of the thigh. Muscle strains lead to limited range of motion, pain, inflammation, muscle spasms, cramping, bruising and weakness. The level of injury will determine the treatment required to resolve the condition. The iliotibial band (also called the IT band) stabilizes the hip and knee joints and can cause pain in one or both joints. The ligament can become tight from overuse, which causes it to rub against the thigh bone. Long-distance runners are particularly susceptible to IT band syndrome and may experience pain that worsens with increased activity. Contact sports athletes can sustain a hip pointer injury after a direct impact to the side. The impact injures the ileum, or part of the pelvis. The bone and muscle in the area can be bruised and very painful. Immediate first aid is critical in treating this injury and speeding recovery. Athletes and non-athletes can experience osteoarthritis over time resulting from overuse or natural degeneration. The protective cartilage in the joint will wear down over time and expose the bone, causing pain while bearing weight or during movement. The condition can vary in severity, along with treatment. The labral cartilage lines the hip joint to cushion and support the joint. Twisting movements, falls, and degeneration of the cartilage can cause a labral tear. During unnatural movements some of the tissue may get pinched in the joint and cause a catching sensation or pain and limited movement. We will create a custom treatment plan for you based on the type and severity of your injury. As the hip joint is deep in the body, X-rays and CAT scans may be necessary tests in planning treatment. Minor injuries may only require some rest and relaxation at home. Ice will help with swelling, and over the counter painkillers will alleviate pain. Heiden Orthopedics offers a variety of treatment options for moderate to severe hip injuries. 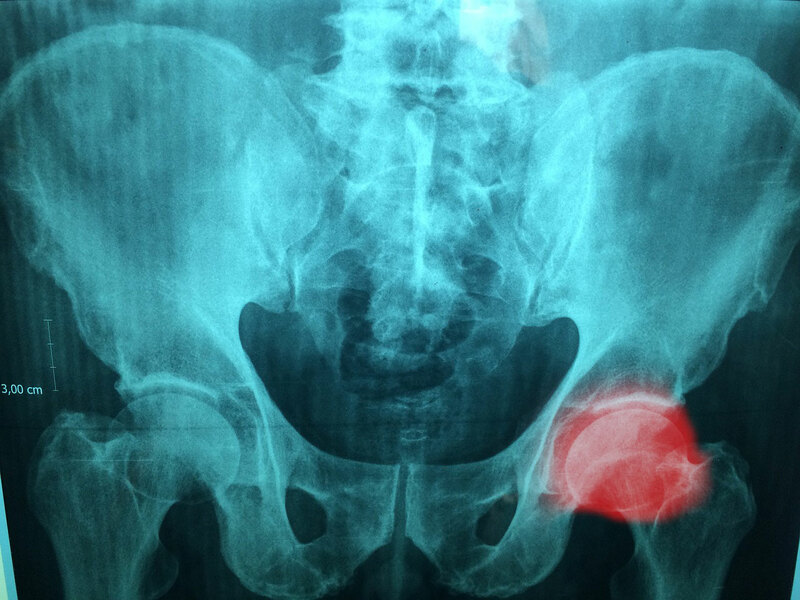 Your treatment may involve cortisone shots, surgery, or in serious cases, hip replacement. Our hip specialist, Dr. Daniel Gibbs, will guide you through the treatment and rehabilitation process, so you can get back on the court or field. Dr. Gibbs has an extensive background caring for and treating athletes. If you experience hip pain, connect with us at Heiden Orthopedics – we have access to the most advanced treatments and techniques to assist you.